When Julián (super star Ricardo Darín, SFC’s Chinese Take-Away) receives an unexpected visit from his childhood friend Tomás (Javier Cámara), the encounter is bittersweet. This reunion, their first meeting in many years, will also be their last. Diagnosed with terminal cancer, Julián has decided to forgo continued treatment and instead focus on putting his affairs in order: distributing his possessions, finalizing his funeral arrangements, and, most importantly, finding a home for his beloved dog, Truman. It’s this final task that is causing him the greatest heartbreak. 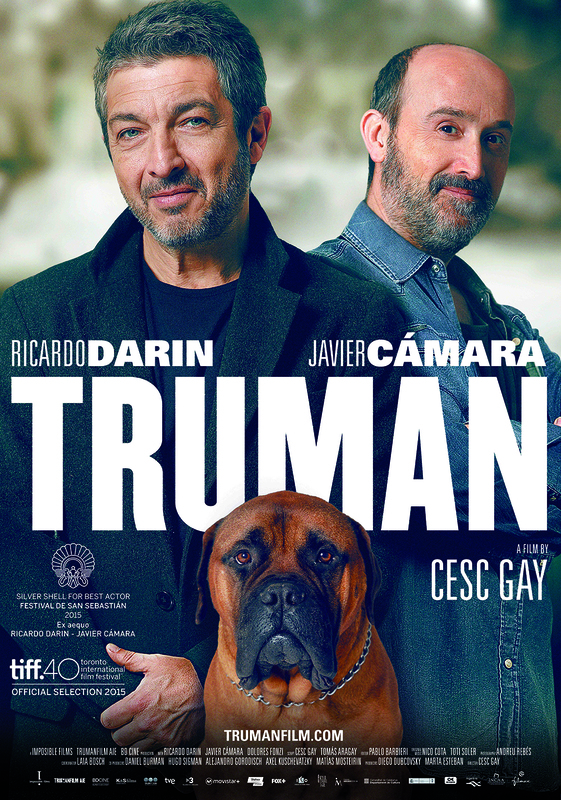 Nostalgic and full of yearning, Truman was the most awarded Spanish film of the year. With the collaboration of acting greats Darín and Cámara, Gay brings humor and sensitivity to this private and personal story, creating a singular reflection on friendship at the end of life. Cesc Gay (Barcelona, 1967) is a director and screenwriter remarkable for the depth of his look into the people he portrays. A look characterised by its irony and sense of humour when focussed on the weaknesses of human beings. He studied Film in Barcelona and New York, where he co-directed with Daniel Gimelberg his first feature film, Hotel Room (1998). Since then, he has directed Krámpack (2000), En la ciudad (In the City, 2003), Ficció (2006) and Una pistola en cada mano (A Gun in Each Hand, 2012). Truman is an attempt. At overcoming the panic we all feel in life when faced with illness and impending death: our own or that of a loved one. It is an exploration of how we react to the unexpected, to the unknown, to grief.